Im streaming my games at the moment, currently playing League of legends. Check me out – give me support! Start the commandopront as administrator. Setting fines, the highest ever, which has been condemned by the U.S. Trade Commission, FTC, for violations of its orders and instructions. The sum imposed under a deal between Google and the FTC. Google denies the crime, but the FTC refers to the U.S. Department of Justice, accusing Google of placing the cookies in the Safari users’ computers. Meanwhile, Google will be represented to users that the search giant did not intend to track their movements via cookies, or to provide users with targeted ads. Yet there was just that, according to the FTC. Google has previously been severely criticized for tracking cookies from Safari, which was unveiled early this year. In addition to fines ordered now Google also to disable cookies in users’ computers, plates and smart phones. The fine is determined after a deal with Google, says the FTC. – Record amount of this settlement sends a clear signal to all companies that have received an order from the FTC issued against him. – No matter how big or small it is, so all companies need to follow the FTC’s instructions and keep their promises on privacy to customers. Otherwise, they are forced to pay several times what it had cost to follow our instructions from the beginning, says Jon Leibowitz, Chairman of the FTC, in a statement. For Google is fine itself a trifle, but it also gives the company negative publicity. A spokeswoman for Google says that the FTC’s judgment, old content posted before Apple had changed its rules on the handling of cookies. – Google has now amended the hand and taken steps to remove all advertising cookies, but did not collect any personal information from Apple’s Web browser, she said. Information leaking apps on appleappstore. 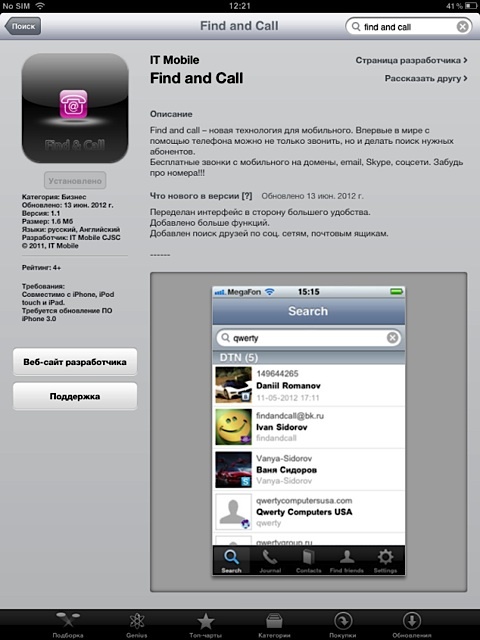 Only a couple of hours after release of the russian iphone app ”Find and Call”, it was removed from appstore. The reason is that the security company Kaspersky Lab discovered that the app copied the user’s address book and sent it back to the creator of the app server. By using the information in users’ address books would cause maker send spam to all contacts with the download link to the app. Only hours after the Kaspersky Lab issued a warning, Apple removed the app. The app has also released a version for Android at Google Play, even Google acted quickly and removed it from its app store.